Project Managment is the key to achieving a successful Digital Signage deployment. No two digital signage deployments are the same. Each of our customers has their own specific requirements. Command provides the people, skills, experience and tools to help your organisation derive the maximum value from your Digital Signage investment. Our experience with digital signage installations, large and small, provides project guidance, as well as implementation support to some of Australian's largest companies. Our project planning and business experience, industry knowledge, technical know-how, and the functional expertise helps to ensure on time project delivery with no interruption to your business processes. We enjoy a 100% success rate on Digital Signage projects due to the depth of knowledge and resources. Our staff are business professionals with hands-on implementation experience. 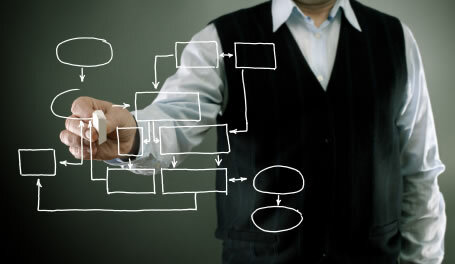 We understand that every customer is unique, with distinct business strategies and requirements. We focus on your requirements and work with you to determine how Command can meet your needs—we have the functional and technical expertise to help you to get the most from your new investment. Command's can help you select, size and install a technology infrastructure solution that meets your network, security, data management and hardware needs, providing a stable, productive environment that supports your business requirements.